Your vacation object: The owner lives permanently in the house. To collective use available: barbecue possibilities. Your holiday apartment: 3 rooms (therefrom 2 bedrooms), 60 sqm, 4 persons. Air conditioning, Central heating. Entrance on the 1st floor. 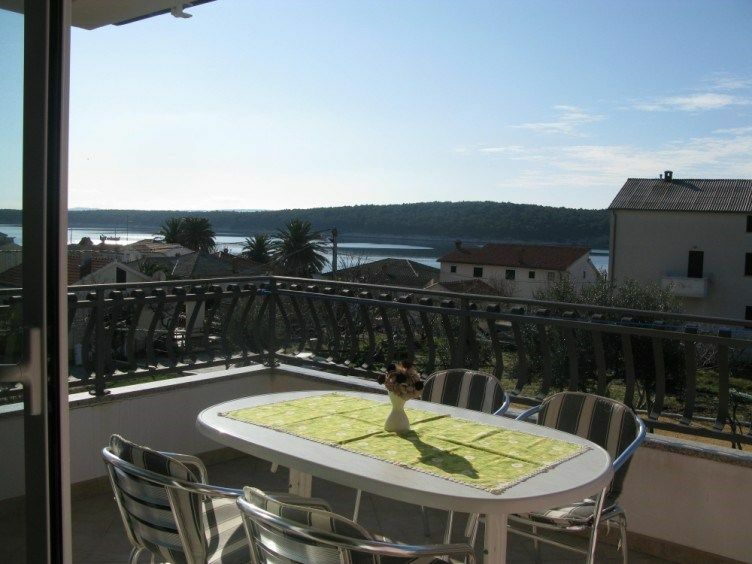 1st floor: kitchen living with sitting area, dinette, tv, access to the terrace (10 sqm, garden furniture) and sea view. Bedroom with 2 single beds and access to the bathroom. Bedroom with 1 double bed and access to the bathroom. cooking nook with electric cooker (4 cooking plates), oven, extractor hood, dishwasher, refrigerator (icebox) and coffee machine. bathroom with shower, WC and window. bathroom with shower and WC. Other facilities: Internet access (WLAN) and babycot. Television available by satellite. Pets: nicht erlaubt. bathroom with shower and WC. bathroom with shower, WC and window.